Growing up Latino in America means speaking two languages, living two lives, learning the rules of two cultures. 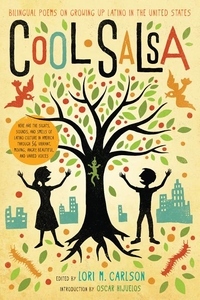 Cool Salsa celebrates the tones, rhythms, sounds, and experiences of that double life. Here are poems about families and parties, insults and sad memories, hot dogs and mangos, the sweet syllables of Spanish and the snag-toothed traps of English. Here is the glory--and pain--of being Latino American.